My grandmother mentioned that there was a picture of her and her family in the Chung Collection, listed under Yip Sang family. Ernest Lee. Kate was the eldest daughter of Rev. Chan Yu Tan. in 1910 – this July, she will celebrate her 102nd birthday. 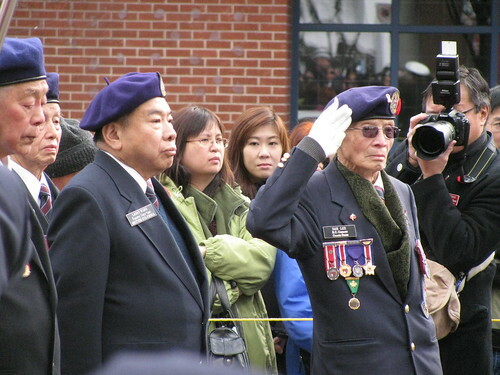 Daniel Lee, has been featured in many films about Chinese Canadian veterans. awards and medals. Here is a good story of his contributions. 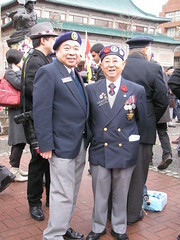 This entry was posted in Chinese Canadian History, Main Page, Rev. Chan Legacy Project on February 6, 2012 by Todd. 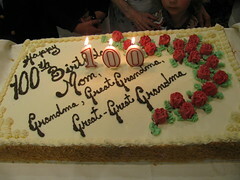 My Grandmother turns 100 years old today. Mabel Lee was born July 4th, 1910, in Victoria BC. Her grandfather Rev. 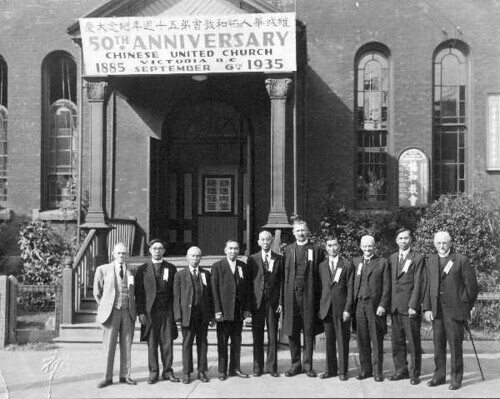 Chan Yu Tan came to Canada in 1896 to serve at the Chinese Methodist Church, which had been co-founded by his elder brother Rev. Chan Sing Kai in 1888. Tax era, and the1923 Chinese Exclusion Act. brothers and a cousin home who served in WW2, who were first not allowed to join the Canadian Forces, even though they wanted to fight for the country they were born in. Nations. And my Granny was interviewed for the the NFB film documentary Tribe of One, about Rhonda Larrabee. brothers are still very much alive. 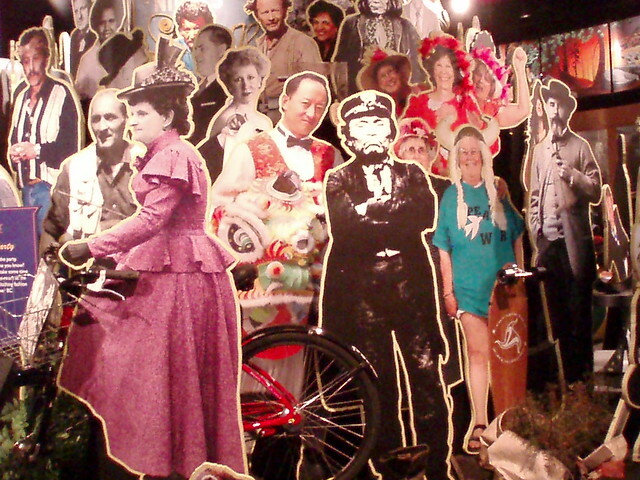 She appeared with me in the 2004 CBC television performance special Gung Haggis Fat Choy, along with my parents, girlfriend and friends. documentary about her grandfather and family descendant history titled Generations: The Chan Legacy. 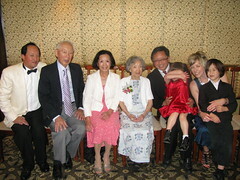 We used family home movies that showed my grand mother and her siblings at their mother Kate Lee's 75th birthday party. on the phone, while I practiced. 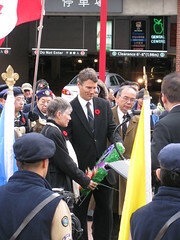 This entry was posted in Chinatown Vancouver, Main Page, Rev. Chan Legacy Project, Todd Wong on July 4, 2010 by Todd. 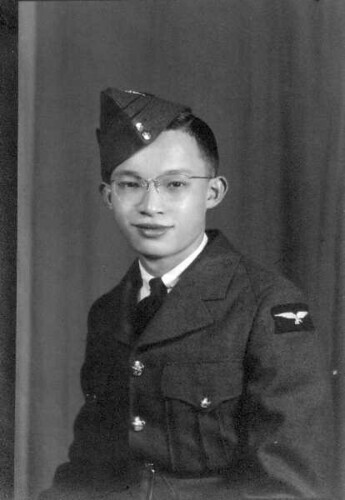 My cousin's son Johnee Wong Smedley lives in Calgary. He has studied martial arts and Asian philosophy, as ways to connect with his Asian heritage. We reconnected this summer at my grandmother's 99th birthday. 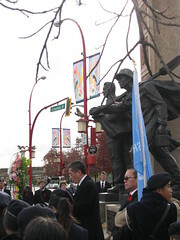 Johnnee was last in Vancouver in 2000 when we held a Rev. Chan family reunion. Today he met the Dalai Lama. Here is the heart of the day. is humble and sincere. I cried when he gave me some advice. The experience was so deep and powerful for me, not a single word can describe my day with his Holiness. can be at peace with myself. This entry was posted in Main Page, Rev. 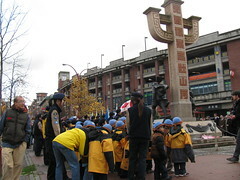 Chan Legacy Project on October 2, 2009 by Todd. I didn't expect to be in the same Georgia Straight Headline as Obama… but maybe because it's because I am a person of colour? “White Man's Province” in the years that followed Douglas. My own life views have been shaped by growing up as a multi-generational racial minority in Canada. I have learned about the discrimination and hatred faced and overcome by my ancestors, since the time my maternal great-great-grandfather Rev. 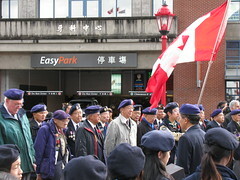 Chan Yu Tan arrived in 1896, as a Methodist lay preacher for the Chinese Methodist Church of Canada. Similarly, my paternal grandfather also faced many challenges arriving in Canada in 1882 at the young age of 16. 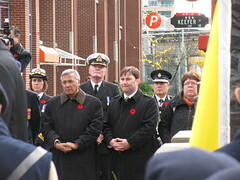 But I have also learned about the importance of communities working together. 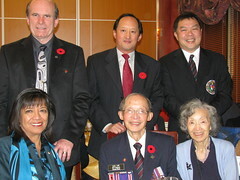 My life path has involved me with many community organizations such as Canadian University Press, Hope Cancer Health Centre, Terry Fox Run Organization, Canadian Mental Health Association, Chinese Cultural Centre, Dr. Sun Yat Sen Gardens, Asian Canadian Writers' Workshop, Vancouver Asian Heritage Month Society, and many many more. In the past few years, I have learned much about Robert Burns' views on social justice, equality, political change, speaking up for others, love of life. These are as important today as there were 250 years ago in Burns' time, or 150 years ago in Douglas' time. Maybe it's actually more important today, because we have the choice to embrace our responsibilities or to take them for granted. We have the choice today, to choose to be selfish or community minded. We have the choice today – not tomorrow – not yesterday, but the choice is today – to make a difference or not. Yesterday (January 20), the world’s most powerful man placed his hand on Lincoln’s Bible and became the 44th president of the U.S. Next week, on a dark day in Ottawa, Prime Minister Stephen Harper’s government will present a budget, and a coalition led by Michael Ignatieff, Jack Layton, and Gilles Duceppe might take the opportunity to bring it down. So, who is Canada’s Barack Obama? Who can lead us out of years of deadlocked minorities? I argue that not only is an Obama figure not waiting in the wings; he or she simply can’t exist here. Here’s why: Obama represents the high-minded ideals of the 1791 U.S.
greater story of the United States. It’s an easy connection to make. own story to Canada’s not-always-glorious history. president. That speaks to opportunity. Think quick: what document was Canada built on? If you guessed the British North America Act of 1867, you’re right. It’s not exactly stirring stuff. apart from that, it’s pretty fuzzy. Obama’s magic. He seemingly came out of nowhere. Here’s my nominee for an Obama in Canada: Todd Wong, the founder of Gung Haggis Fat Choy. 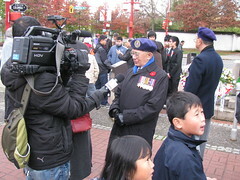 Canadian, Wong also lobbied to save Joy Kogawa’s childhood home and for head-tax redress. He organizes dragon-boat teams. background as a community organizer. At least the way Wong does it. out for deep fried haggis wontons. He describes the event, to be celebrated this year on January 25 at Floata Seafood Restaurant in Chinatown, as something that “represents Canada in the 21st century”. “Anyone in that room could be part of your family,” he told the Straight. Here’s where it falls apart. Wong has no interest in politics. “If I get into politics, I wouldn’t be able to do the kind of community service work I do now,” he told the Straight. to history, and offer a fresh face to represent the new Canada. 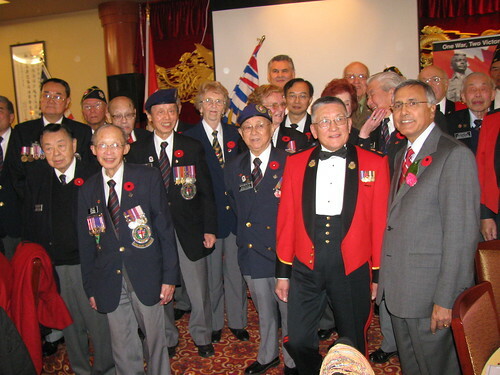 This entry was posted in Asian Canadian Cultural Events, Canadian Identity, Canadian Identity & Heritage, Chinese Canadian History, Commentaries, Main Page, Multicultural events, Rev. Chan Legacy Project, Robbie Burns Day, Robert Burns & Burns poetry, Scottish, Gaelic, Irish Celtic events and stories, Vancouver Heritage and History on January 22, 2009 by Todd.